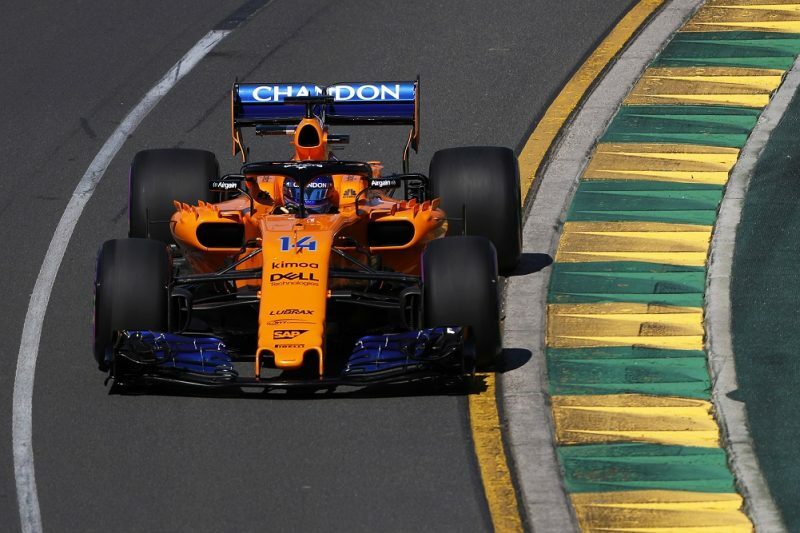 McLaren’s Fernando Alonso says his fifth-place finish at the Australian Grand Prix was where he expected the team to be despite a switch of engine supplier and a pre-season hampered by reliability concerns. The two-time world champion was a vocal critic of previous engine partner Honda and championed a switch to Renault power for the British squad for 2018. Despite both of its cars missing the final period of qualifying, McLaren was able to take advantage of DNFs for both Haas cars to secure a double points finish with Stoffel Vandoorne in ninth. Alonso’s charge to fifth place equalled his best finish with McLaren since re-joining the team in 2015 and is something the 36-year-old hopes to build upon. “I think it was more or less expected to be honest,” the Spaniard said after the race. “We knew we had strong race pace, better than qualifying. “We capitalised on some of the problems others had today and we had attacking from (Max) Verstappen a lot in the last 20 laps and we were able to defend. “I’m happy, it was a great work by the team; the integration of a power unit in two or three months. Alonso highlighted potential upgrades for the next race at Bahrain as a chance to make another step forward. “Definitely it’s going to get better and better. There is a lot of potential in the car still to be unlocked,” he added. “As we said yesterday, it’s the first race of the combination of McLaren and Renault power, so there’s more to come. McLaren’s racing director, Eric Boullier cautioned that it was circumstance and not performance that earned McLaren a double pointscoring finish, but echoed Alonso’s thoughts that there was more to come from the MCL33. “I think a bigger advantage was both Haas cars having issues,” said Boullier. “I feel bad for them because they did a great job over the weekend. It’s not what you want when you’re having a good weekend. But we took advantage of anything today. “We know we have more pace in the car in the future, but we couldn’t have unlocked it this weekend. So that’s why we take any advantage.